Vancouver Magazine called her “San Francisco's sharp-witted solo answer to Ebert and Roeper.” Recognized as a woman of many hats, film critic Jan Wahl joined KRON 4 in October 1990. Sporting a different chapeau each week, she critiques recent movie releases, reviews new videos, conducts celebrity interviews, and offers interesting background on show business. In addition to her work at KRON 4, Wahl provides cultural and show business reports for KCBS Radio and is a featured regular on LIVE 105, KITS 105.3 FM. When she's not working in television or radio, Wahl emcees community events, teaches, lectures and delivers show biz talks on international cruises. Wahl also teaches a class called “Critical Thinking of the Mass Media”, a course she originated for corporations and schools. She also has a regular column on the Nob Hill Gazette. Before joining KCBS, Wahl was the entertainment reporter and movie/video reviewer at KNBR Radio, where she hosted a three-hour call-in show “Hollywood Calling.” Prior, Wahl frequently appeared as a film critic and historian on KGO Radio. 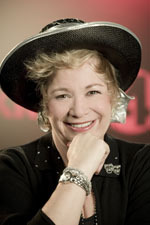 Before coming to the Bay Area, Wahl worked for ABC in Los Angeles, first as a documentary producer, and later as a stage manager and director of “Rona Barrett's Hollywood,” “The Lawrence Welk Show,” “Match Game,” “Family Feud,” “Good Morning, America” and various specials such as the Oscar and Grammy telecasts.